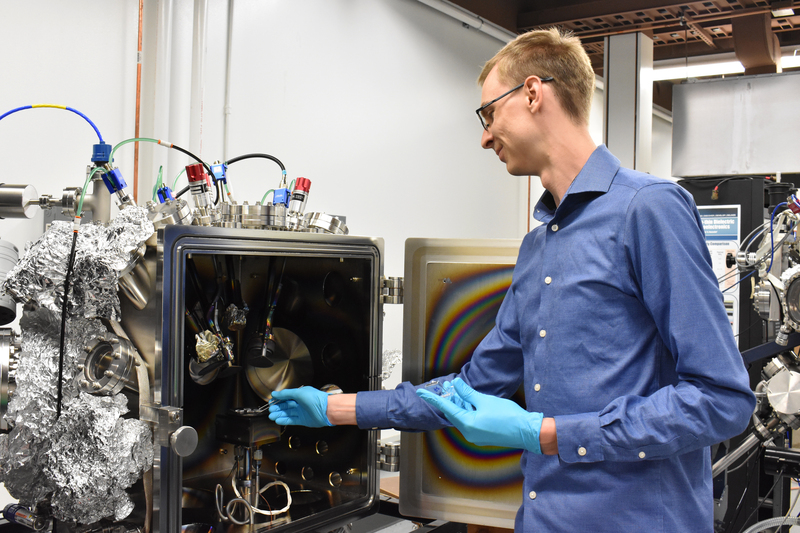 DENTON (UNT), Texas – In a paper published in Nature’s Scientific Reports, University of North Texas Ph.D. graduate student Benjamin Sirota explains a new method for protecting nanoelectronics that will result in longer-lasting components with better electronic stability. After two years of research, Sirota, advised by his graduating professor Andrey Voevodin and working with a team of collaborators from the Air Force Research Laboratory and the National Institute of Standards and Technology, has developed a metal film for nanoelectronics that can be sandwiched with an ultra-thin protective layer. The paper is titled “Hexagonal MoTe2 with Amorphous BN Passivation Layer for Improved Oxidation Resistance and Endurance of 2-D Field Effect Transistors” and can be found here.